This Friday, the D:Lab hosted virtual reality (VR) enthusiasts and makers who are passionate about the development of virtual reality and the technological possibilities it affords in this age of information. The Nubian VR team shared their story of how they established their Virtual Reality Content Development company. 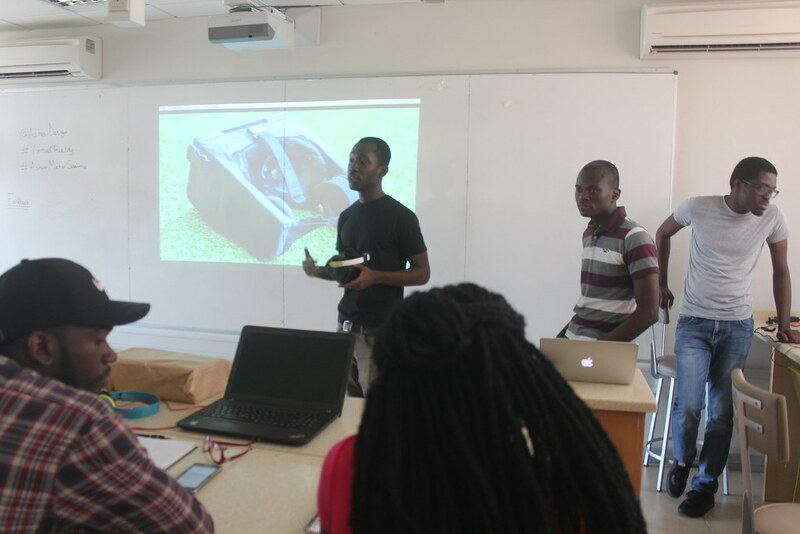 Kabiru and Jonathan, co-founders of Nubian VR, explained the fundamentals of virtual reality and how it influences the use of technology today. The team expressed their major challenges in sourcing technology to develop content in Africa as well as how they overcame these challenges. With the assistance of Samuel, VR content developer, students who attended this event got a feel of how to use Unity 3D to create a simple 3D animation which was built and viewed on a smartphone through a VR Headset. Posted in Maker Sessions, Open Virtual Reality, ProjectsTagged Design, Nubian VR, Unity 3D, Virtual Reality, VR DevelopmentBookmark the permalink.